Super THC by Kaya Spain Quality is a feminized cannabis seed that has its origins in the cross of a Black Domina and an Afghan Kush. It is a small/mid-sized and sturdy Indica marijuana plant that yields abundant crops of compact buds brimming with resin in a quick and easy manner. 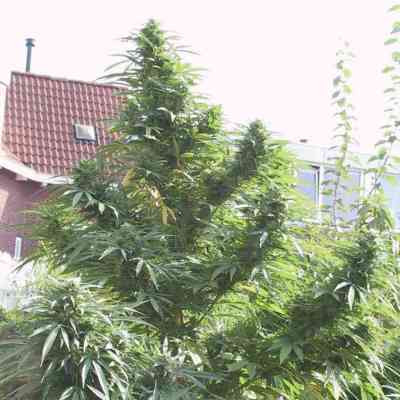 Super THC grows well both indoors and outdoors, particularly in a temperate/Mediterranean climate or in a greenhouse. However, during the flowering stage, keeping an eye on moisture-related problems is highly advisable. It is an excellent choice for the elaboration of quality resin extractions, as well. The flavour and aroma of Super THC are pronounced, with hints of fresh flowers, sweet fruits and species. It provides a powerful and relaxing Indica-like effect of long duration.